On an appreticeship you will learn whilst working, you will experience what it is like to deliver high quailty barbering services along with excelllent training enabling you to achieving a level 3 qualification. Your teacher will be an current expert in the barbering industry, they will use a variety of teaching methods including explanation and discussion, as well as group and individual activities. You may need to attend a class, this will be small and friendly and will focus on building advanced practical skills. You will recieve regular training whilst in your work place and will be assigned a co-ordinator form the college to support your every step. There will be plenty of time to practice the skills you have acquired. Barbers will be able to shampoo and condition hair, re style hair using a range of techniques, style and finish hair, cut facial hair, create patterns in the hair, carry out shaving services, perm or colour hair, a selected unit, in order to create a variety of looks for men. Barbers must be able to work with all hair types ranging from straight hair to very curly, wiry hair. They also need to be able to carry out consultations with clients, demonstrate the professionalism, values, behaviours, communication skills and safe working practices associated with their role and be able to work without supervision to a high level of precision, with exceptional client care skills. An Advanced Apprenticeship is a job with an accompanying skills development programme designed by employers in the sector. It allows you to gain technical knowledge and real practical experience while being paid to do so. Along with functional and personal skills that are needed for your immediate job and future career you will learn through a mix of project based learning in the workplace, formal off the job training, and the opportunity to practice and embed new skills in a real work context. Learners will attend West Suffolk College one day a week for taught sessions, excluding half terms and holidays. In total, learners have to spend 20% of their time on programme completing Off-The-Job training, this includes their day release, and any shadow shifts. Apprentices will be supported by 1:1 meetings in the workplace by their dedicated Programme Tutor. Additional learning resources and information will be made available online to ensure a fully blended learning experience. Candidates will be required to complete a Level 2 Maths and English qualification prior to completion of their apprenticeship. As well as ensuring a full competence within Barbering, this apprenticeship provides a foundation for potential progression into a full time position within the workplace, or a higher qualification in Salon Management. The minimum wage for apprentices is £3.90 per hour. However, the average wage for apprentices with WSC is £4.85 per hour. Your wage is decided by your employer and most will look to reward excellent progress and completion of your apprenticeship. How much money can I make as a barber in the UK? 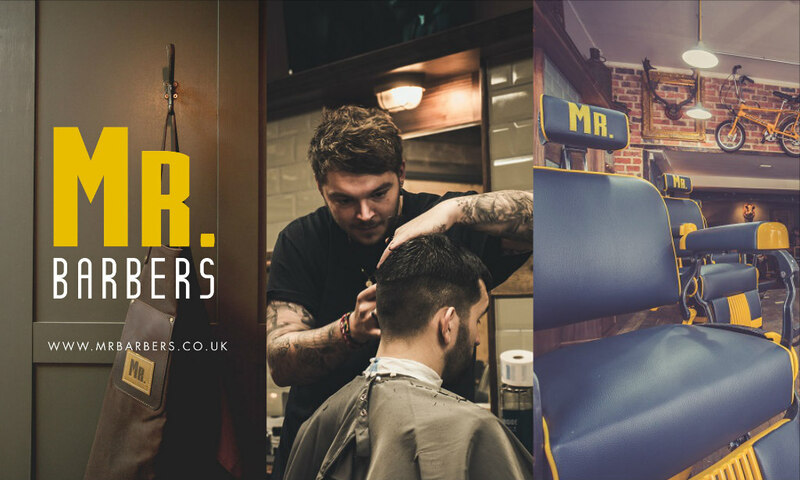 As a junior barber, you can expect to earn about £40-£60 per day in salary, and £20 in tips. If you work a 6-day week and 50 weeks per year, this equates to earnings of £18,000 to £24,000. With time and experience, a pro barber can earn as much as £1000 per week or £50k per year. Whilst any entry requirements will be a matter for individual employers, typically an apprentice might be expected to have already achieved 5 GCSEs including Maths and English, Grade C or above or 4/5 (new grading). Some employers will accept other relevant qualifications and experience, including a relevant Level 2 qualification. The industry has high client expectations and relies on repeat business, therefore, importance is given to the following: appropriate personal presentation including hair and personal hygiene. Practical organisational and social skills. Attention to detail and cleanliness. A good sense of humour. Good communication skills, and be prepared to work flexible hours. Level 3 Diploma in Barbering. Any required Functional Skills in English or Maths. Apprentices are not required to contribute financially towards Apprenticeship training. As apprentices are paid employees, you will need to fund your own kit, equipment and uniform. If you are an employer with an annual wage bill of £3 million or more, you will pay into an apprenticeship levy. This levy is then used to pay for the full cost of the apprenticeship course which is £3000. This figure is divided by the duration of the Apprenticeship and you will make monthly payments from your account directly to us. If you are an employer with an annual wage bill of under £3 million, the Government will fund 90% of the training fee meaning you will be required to contribute 5% (£150). There are incentives available if you are a small employer (under 50) and if you train/recruit a 16-18 year old. Applicants - You can apply using the button at the top of this page, where you will then be booked in for a 1:1 with an apprenticeship advisor. Employers - Please contact us to speak with a member of the Apprenticeship Team and organise a face to face visit.